In our latest survey report, we explore the growth challenges facing businesses and HR leaders in a rapidly changing landscape. We surveyed over 500 HR leaders in leading organisations to explore their views on these challenges, and to find out how they are supporting people and leveraging people data to help them achieve their growth goals. It’s the war for talent, again. The greatest challenges for growing companies are winning the war for talent, growing productivity and improving workforce visibility. Fast-growth companies share common traits in the way they manage and engage their people—we call this being a People Company. There’s a disconnect between managers and employees in terms of what being a People Company means. Becoming a People Company is a journey, with many organisations some way from embracing all aspects. People Science is a thing: there’s an appetite to leverage people data and analytics, but there are blockers in the way. 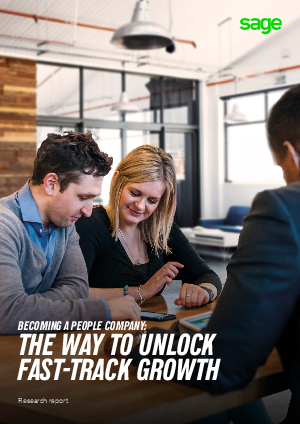 Read our report to learn more and discover what you can do to become a People Company.